Home :: How to find one correct battery for my laptop? :: How to find one correct battery for my laptop? Must match your old battery part number. Must match your laptop computer model name, the exact model name of your laptop. Must match your old battery's rating (voltage). ( for example if your old battery's rating is 10.8V, but our is 11.1V, don't worry, our 11.1V battery is compatible with your laptop, it doesn't damage your laptop. Don't worry about the difference capacity, high capacity just means the battery can last longer. But please note most high capacity batteries with a bigger size(shape), since them need extra spaces for the battery cells. Make sure the laptop is unplugged and turned off, and that the battery has cooled. Flip the laptop upside down. Push the battery latch to the left "unlock" position. While holding the latch in this position, slide the battery out of the computer. 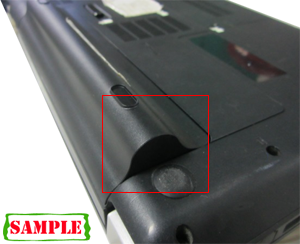 Look for the serial number that is printed on the label on the back of the battery. The serial number will be a combination of some letters and numbers that more conspicuous. Open the laptop and check the area near the keyboard first. 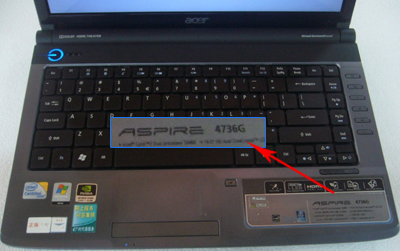 Manufacturers commonly print the computer model (such as Aspire 4736G for a Acer computer) on or near the keyboard. 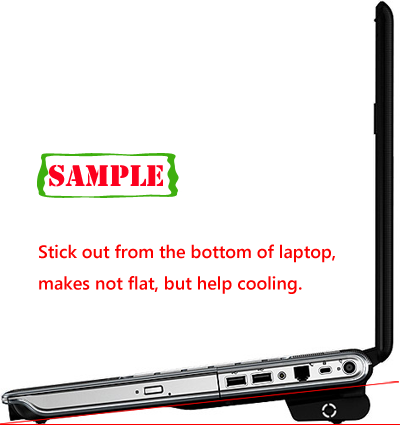 Close the laptop and flip it over to read the back. 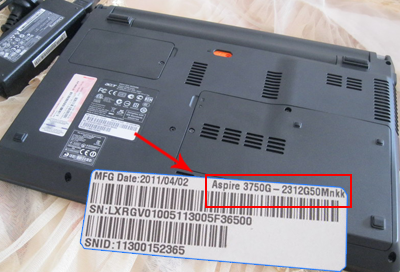 Look for the laptop computer model name printed on the product tag, which also contains a bar code. Check the bottom of your laptop for a service tag or similar number. Log onto your laptop manufacturer's website, go to the support area and enter your service tag number. This will bring up complete data about the model name of the laptop, as well as the date of manufacture and warranty information. Click the "Start" menu, go to "Accessories" and then "System Tools" (applies to Windows systems). Select "System Information" to bring up a dialog box listing complete information about your laptop, including the "System Model." How to check your replacement battery is compatible with my laptop? 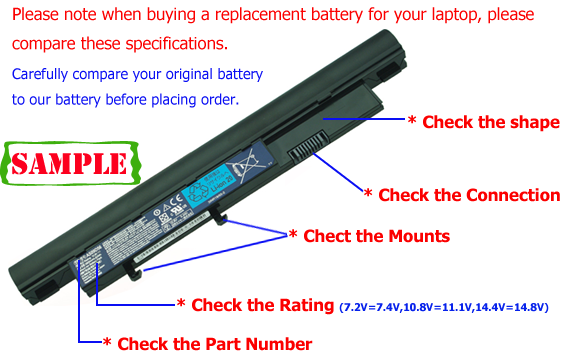 How can I find the laptop battery specifications? 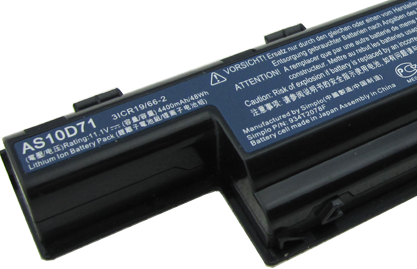 There are several different types and sizes of laptop batteries. To determine what laptop battery you have, remove the battery from the laptop and look at the bottom or top of the battery. 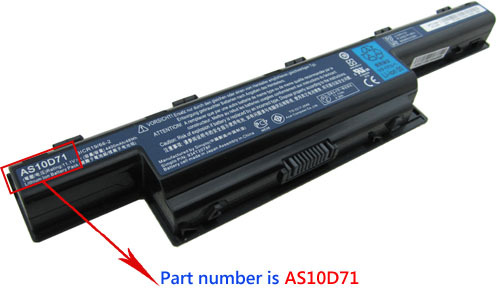 As can be seen in the picture to the below this Acer battery shows that it's a Li-ion battery, has a model number of Li-ion, rating of 11.1V, 4400mAH/48Wh, Part number "AS10D71"
Does high capacity battery fit for my laptop? Like capacity of 6600mAh, 7200mAh, 7800mAh, 8800mAh.